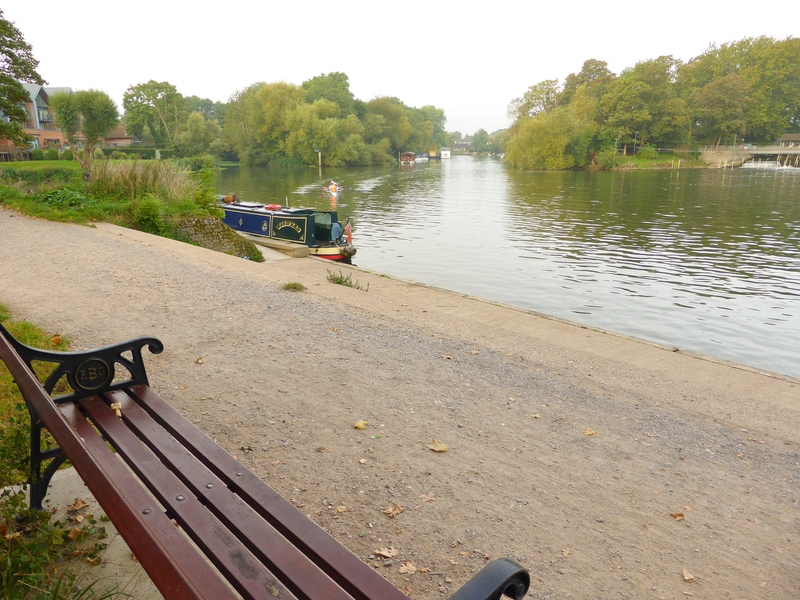 We were staying in Chertsey for a few days and had to cycle along the River Thames path early on a Sunday morning to get our son’s bike to Richmond Park, as he was taking part in the London Duathlon. Although we were rushing, I stopped for a few minutes to look at this commemorative bench with a lovely view that was particularly stunning in the peace of a sunny morning. 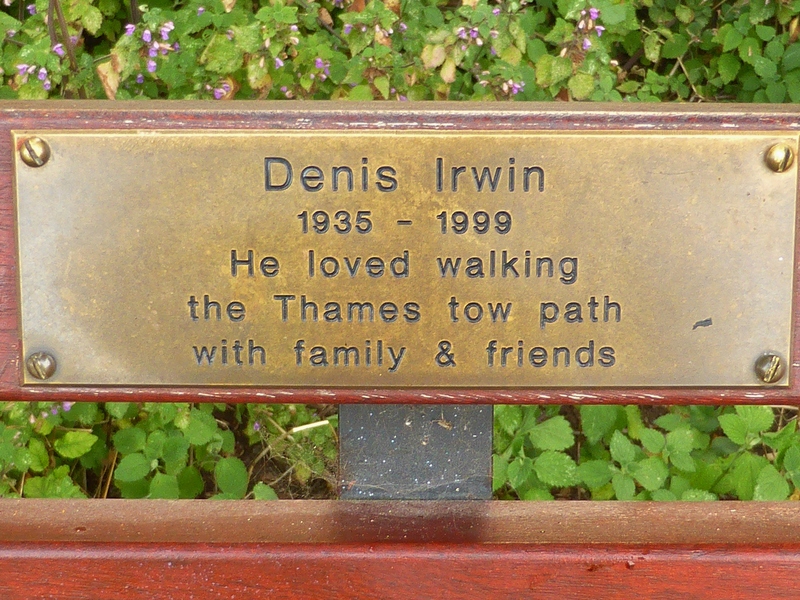 The words on the bench, ‘he loved walking the Thames tow path with family and friends’ conjures up an image of a friendly and sociable man who was active and companionable. Cwm Bychan near Beddgelert is a beautiful spot with a gushing stream, sweet smelling heather in August and views down to the Glaslyn valley and Portmadog. By the path we found this beautiful bench and sat a while to enjoy the view. The bench doesn’t give the full name of the person it commemorates. Pushed in to the arm of the bench was a card to ‘Our Son’, so we have assumed AJM is someone’s son but otherwise this is a very private commemoration of someone who died very young. 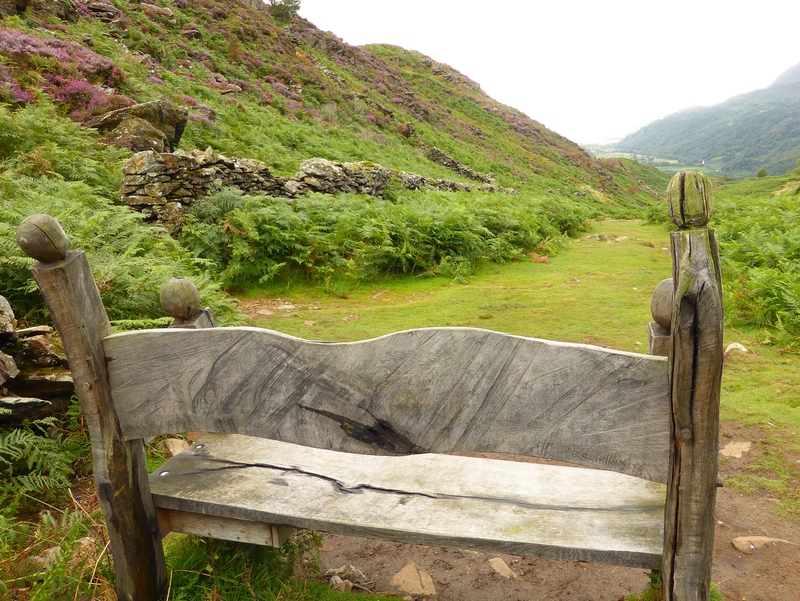 The bench is beautifully made and fits well in the landscape. Cwm Bychan is a wild spot and a shiny plastic bench would look out of place in this place. The bench is well sited as a spot to rest and we were joined by a local runner. We spent a few minutes talking to him while he recovered from running uphill before returning back down the valley. We followed more slowly. hereWe spent a few days in the lovely Lancashire town of Clitheroe in the summer and walked up the hill to enjoy the view from Clitheroe Castle. We were joined by the local town crier ringing his bell and announcing a community meeting. 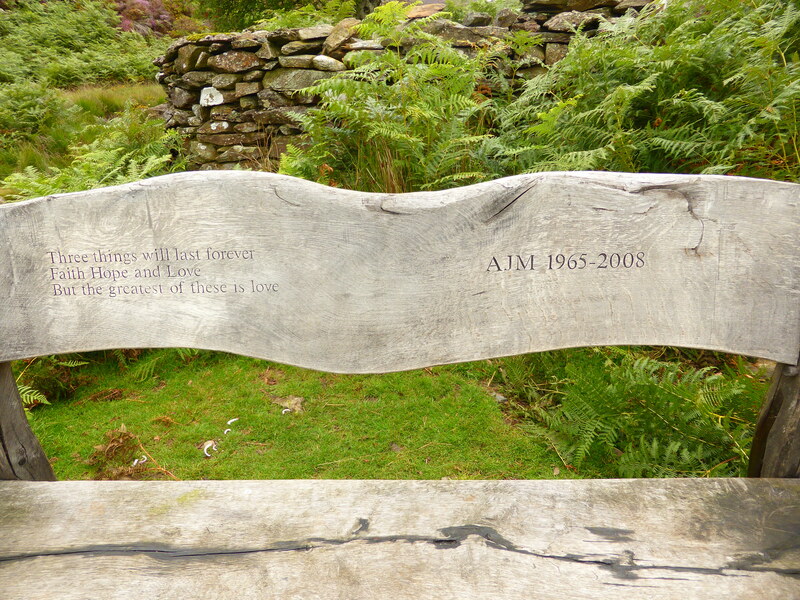 We found this memorial bench to Derek Hudson Learoyd who died in 2009. 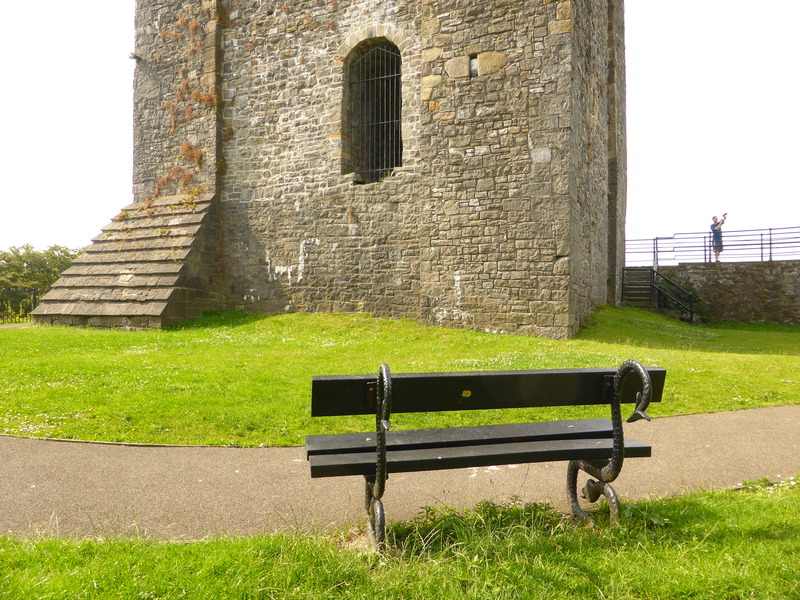 The bench stands in the moat and looks towards the Keep of the Castle. His obituary here reports that he died peacefully in hospital aged 89 years. 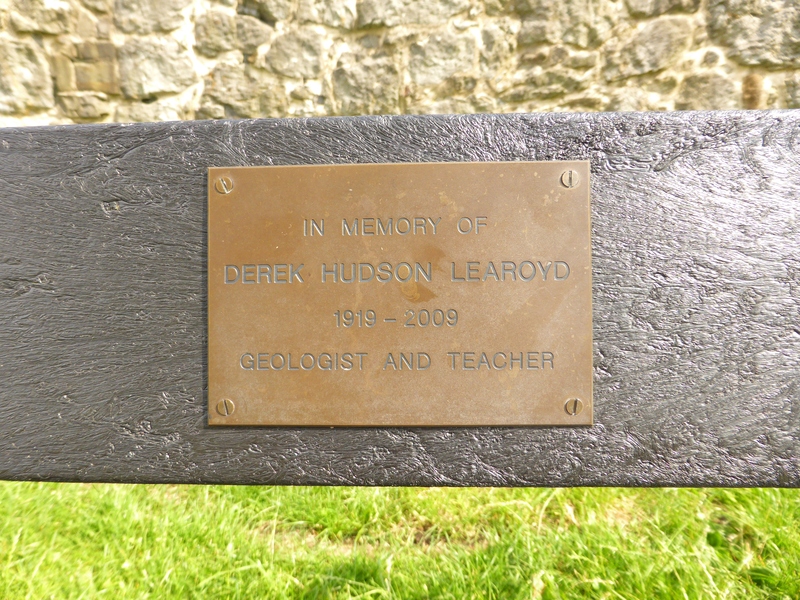 It seems Derek Hudson Learoyd was an active and committed member of the Lancashire Geologist Association. The Association now have a DH Learoyd Award for outstanding contributions to the group’s activities.